Come possono le TIC soddisfare le esigenze d’apprendimento dei disabili adulti in Europa? 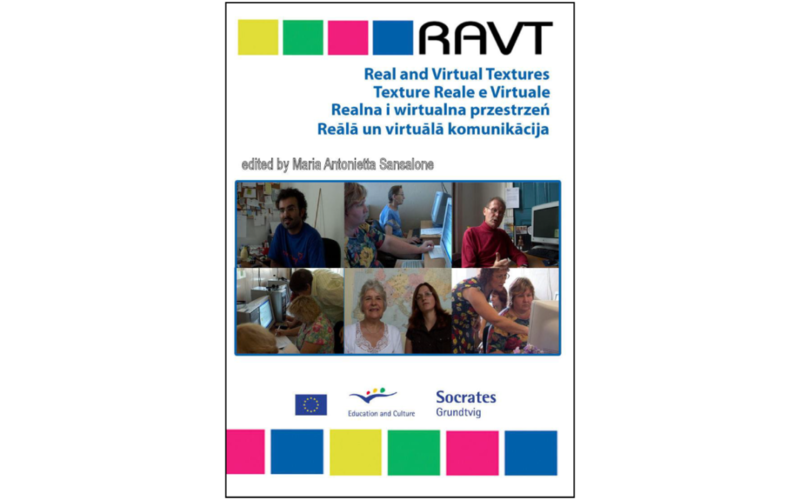 The RAVT (Real and Virtual Textures) study explored the world of ICT and e-learning technology applying it to adult learning, and specifically to adult disabled people in four European countries (Italy, Latvia, Poland and the UK). In line with EU measures aimed at improving the e-accessibility, e-inclusion and e-participation of all citizens (Plan of Action eEurope/2002; eEurope 2005 a society of information for everybody COM(2002) 263; the European Disability Forum’s Disability and Social Exclusion in the European Union), RAVT proposed to implement innovations in educational systems and training for disabled adults. RAVT was born from a growing awareness of the existence of a gap between the need for the effective application of the principles of integration, active citizenship and solidarity adopted by the European Union and the different approaches towards disability, and in particular towards adults with disability. Through the RAVT study new opportunities for people with disabilities working in telework were explored and adopted. These possibilities originated from the positive relationship existing between new generation information technologies and data transmission methods, resulting in new synchronised and asynchronised communication models, which are necessary for distance-work adapted for people with disabilities and, simultaneously, their social integration. The potential of telework in relation to the introduction and integration of people with physical and cognitive disabilities into the world of work in comparison traditional working methods means that this field is of interest to a significant percentage of the population. The support of new technologies for persons with serious speech, hearing or seeing dysfunctions, with movement problems and other kinds of disabilities is huge. These new technologies may include new equipment and software solutions for disabled persons regarding monitor, keyboard and mouse, such as magnifiers, screen readers, programs and equipment for speech synthesis, Brail rulers. The RAVT study put in place staff training modules that were designed, tested and implemented, paving the way to a training course for professionals in training (managers of association and institutions, trainers and educational staff working with adult disable people). This training gave trainers and managers abilities in the ICT field in order to create teleworking opportunities for disabled adults. Those who attended the course taught those with disabilities to use the new technology to create their own job. The course was subdivided into three operative modules of 140 hours subdivided in e-learning activities in class and in online training laboratories. The three modules of the training course were: 1. The Multi-media of the web; 2. Hardware and software for disabled people; 3. Co-operative learning – How to learn remotely together. Trainers learnt about website accessibility and how certain factors can affect users’ experience of the web and about adaptive equipment that can support disabled people to use computers more effectively; they also learned a lot about the benefits of e-learning and took this information back to their organisations and recommended that an e-learning platform should be offered as an additional vehicle for learning alongside the existing learning services. Moreover, trainers learnt to use the Moodle e-learning system to cater for the individual and the group. The study’s methodology insisted on the need of training to be led through pedagogical methods more than medical ones, and by integrated approaches. It was adapted to the learning contexts and to the action definition of scaffolding included in a lot of instruments (technological, individual, inter-individual, motivational). RAVT wanted to unite the pedagogical paradigm of flexibility with conviviality, privileging the individual and learning-by-doing, in harmony with the conviction that “only exercise in any situation gives us its knowledge, its sense and value”. The RAVT training system, using the blended e-learning approach, takes ICT and multimedia tools as tools to fight social isolation and marginalization of disabled people opening up the possibility to improve their quality of life. This volume wishes to permit the further development of a challenging and complex but real and attainable task: the dissemination of a tested didactic model, which can bring solutions to issues related to the term digitally divided. It adopts new opportunities available for people with disabilities working in telework. These possibilities originate from the positive relationship existing between new generation information technologies and data transmission methods, resulting in new synchronized and asynchronies communication models, which are necessary for distance-work adapted for people with disabilities and, simultaneously, their social integration.